Sister Cities – what’s the cost? A Cambridge Link to the liberation of Le Quesnoy: According to the Cambridge Le Quesnoy Friendship Association website a single Cambridge soldier – chaplain Clive Mortimer Jones – was present during the liberation of Le Quesnoy where 122 Kiwi and 43 German soldiers were killed. There was no civilian loss of life in the town. 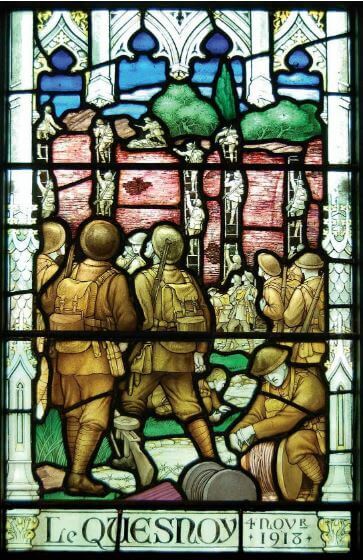 One of around 150 non-combatant padres deployed to battlefields in WWI, he wrote 25 letters back from the war and oversaw the construction in England of the Le Quesnoy stained glass window that was installed in St Andrew’s Church in 1923. The Waipā District Council has spent more than $113,000 on Cambridge’s sister city relationships with Bihoro in Japan and Le Quesnoy in France in the past 12 years. The recent $150,000 contribution to the museum in Le Quesnoy by council could also reasonably be added to this figure, as the relationship was noted by the Manager of Strategic Partnerships in advice to council to approve the payment. That’s $263,000 of Waipā ratepayers’ money over 12 years. Claire Robson looks at the numbers. Cambridge has two sister city relationships, one with Bihoro in Japan which was formed in 1997 and one with Le Quesnoy in France which we signed up to in 1999. Te Awamutu has one sister city on its books – Moree in New South Wales – but that is understood to have lapsed many years ago, with no expenditure on it by council in the past 12 years. 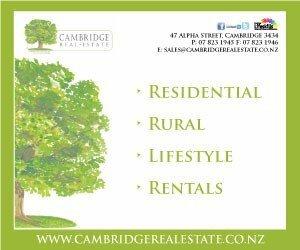 The Cambridge Community Board has a Sister Cities Subcommittee, which is understood to have an annual budget of $11,000, while there is no equivalent budget for Te Awamutu. The sister city relationship was also cited as a reason for council’s sign-off on a $150,000 contribution to the war memorial museum in Le Quesnoy. “New Zealand, and in particular the Waipā District, has strong links with Les Quesnoy which has been a Sister City of Cambridge since 2000 (sic)”, the Strategic Planning and Policy Committee Report said on page two. “In light of this history and association Council resolved in June 2018 to commit $150,000 to the project, subject to other Councils also contributing,” the report continued. Payment of the contribution was accepted by council in a unanimous vote, with Susan O’Regan abstaining. Mayor Jim Mylchreest described the amount Waipā puts in to sister city relationships as “modest”, with the spend around 44 cents per ratepayer annually. “If we truly wanted to drive effective sister city relationships based purely on economic return, we would be putting a lot more money into those relationships. But the amount we put in is modest – certainly compared to some other councils – and so our economic return is pretty modest as well. “Saying that, I do think we are getting a financial return. The economic benefit we get from Sister City school exchanges alone from students from Bihoro would easily cover that modest investment – and more,” Mayor Mylchreest said. “Waipā however, unlike some other councils, does not need to chase economic activity internationally to drive growth. We are already seeing huge growth and our challenge is managing it. Some other councils aren’t as fortunate and so you’re seeing quite a lot of activity in terms of developing Sister City relationships, particularly with China,” he added.